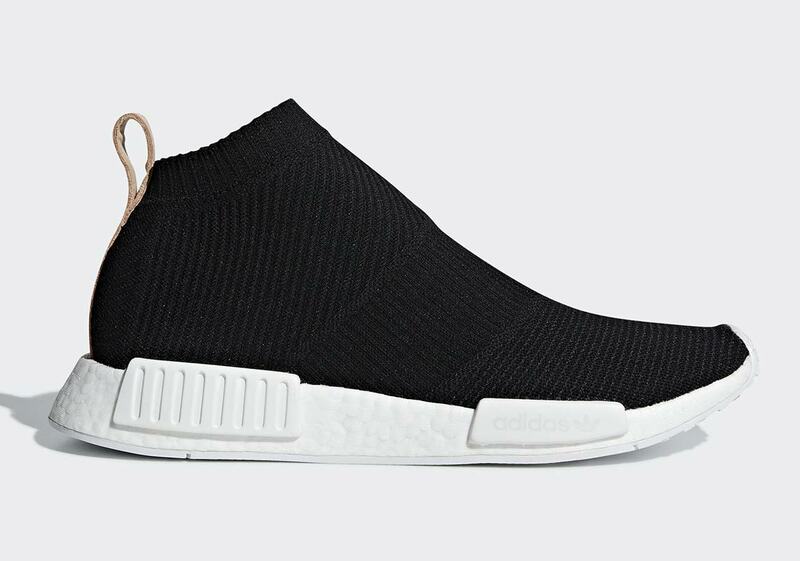 It’s been a busy last few weeks for the adidas NMD. 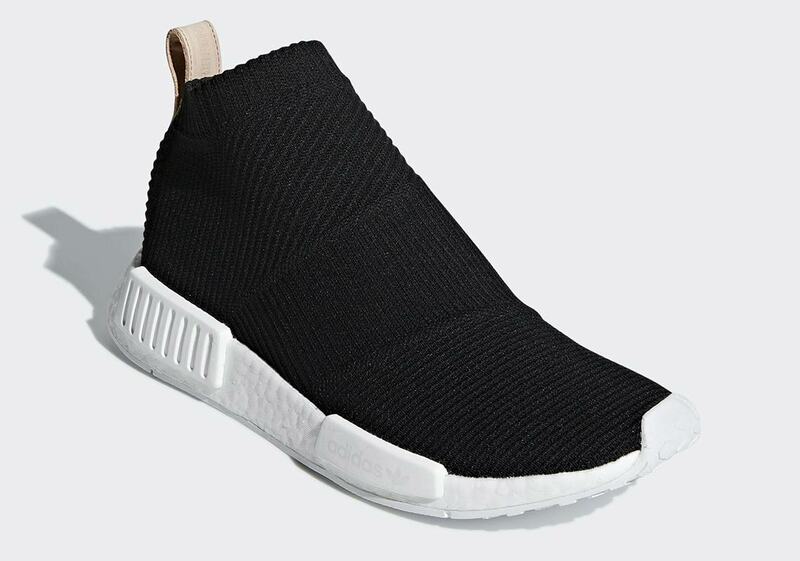 After two duck camo-print NMD R1s and an NMD Racer in collaboration with the Whittaker Car Club were unveiled, we now have a first look at a premium take on the slip-on NMD City Sock. 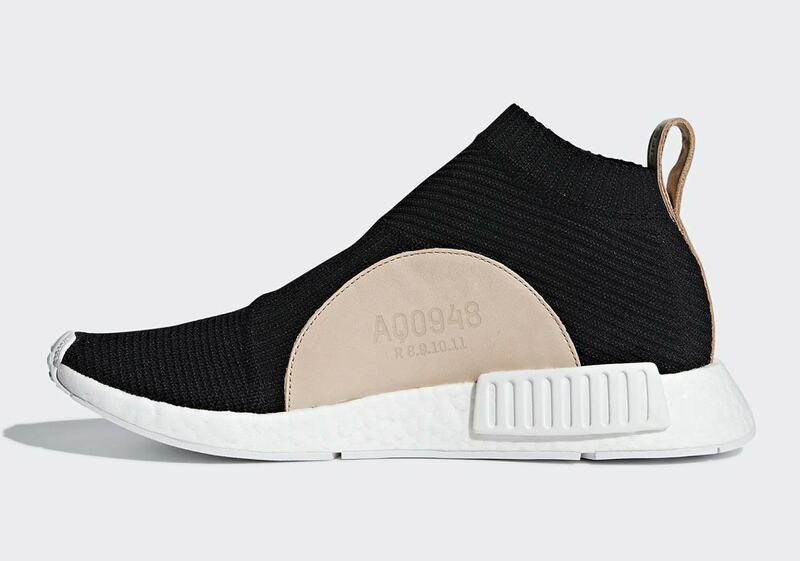 Featuring an all-black Primeknit upper, the shoe’s defining marks arrive via its premium tan leather detailing. 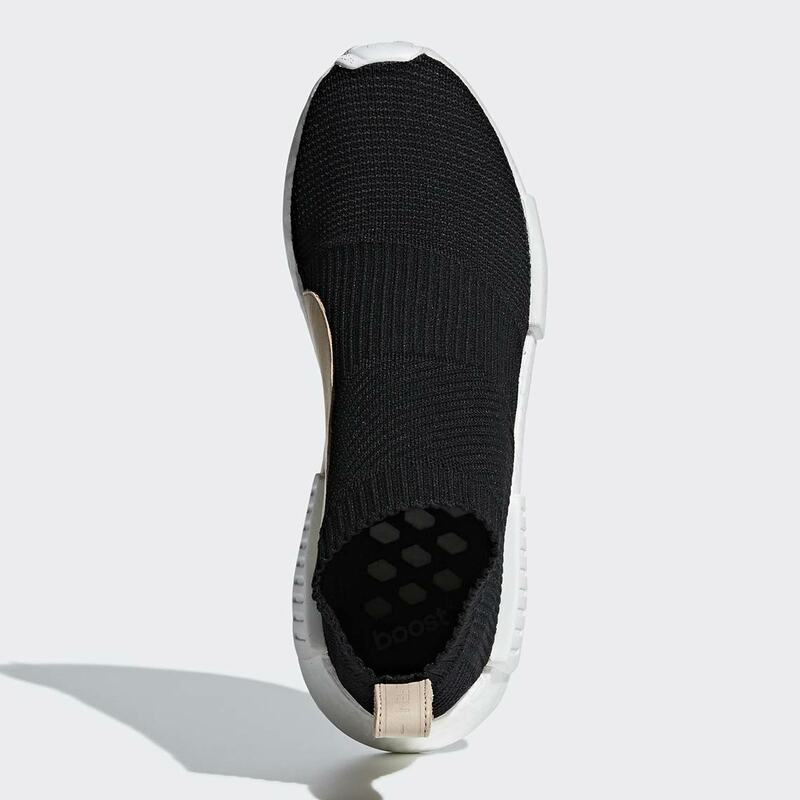 The heel tab, typically thin and constructed of fabric is replaced by a thick leather, and the medial side’s large half-circle patch is also done up in the same premium tan leather with the shoe’s style number debossed on the side. 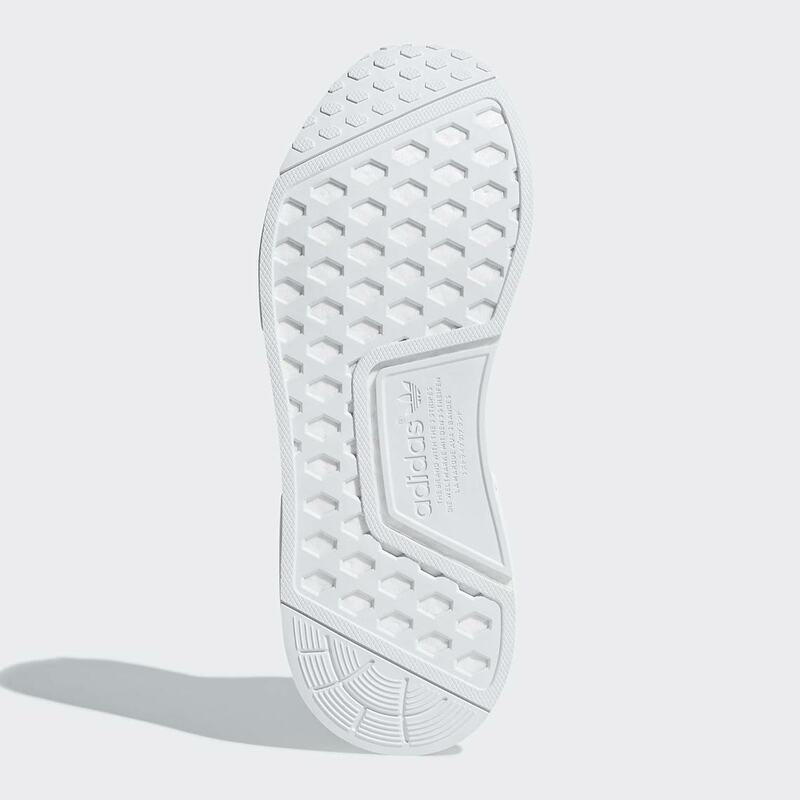 A clean white Boost midsole with white bricks provide comfort and contrast, and the shoe is rounded off with a simple white outsole. 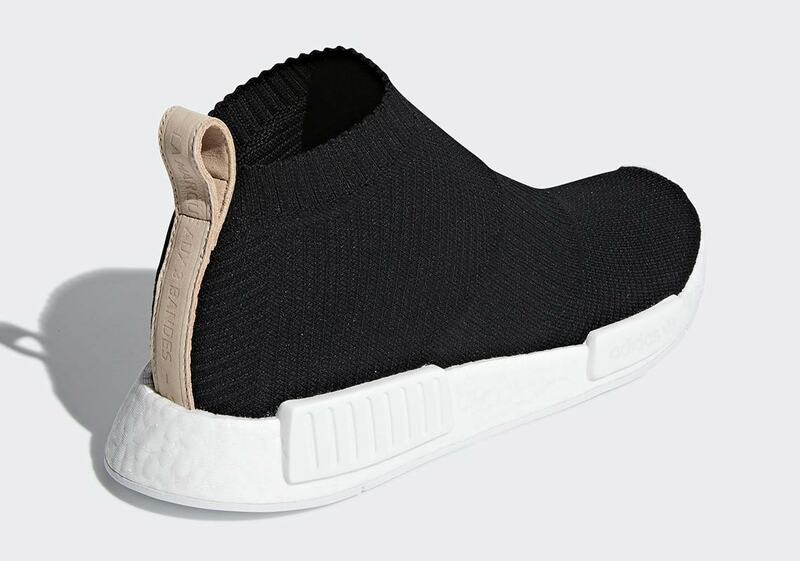 Look for these premium City Socks to arrive on adidas.com July 1st with a price tag of $180 USD.